Here we feature a variety of rare coins struck by different countries around the world. Everything listed has been certified and graded by PCGS or NGC, which gives you a strong assurance and guarantee of quality and condition. 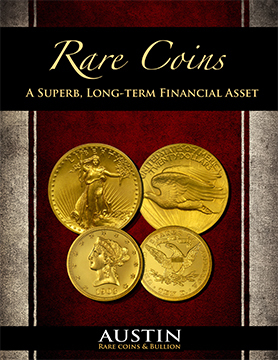 While thousands of different coins have been made across the world, we have chosen to highlight the following examples as being solid values in the numismatic marketplace. Have questions or don't see what you're looking for? Just give us a call, we're happy to help.